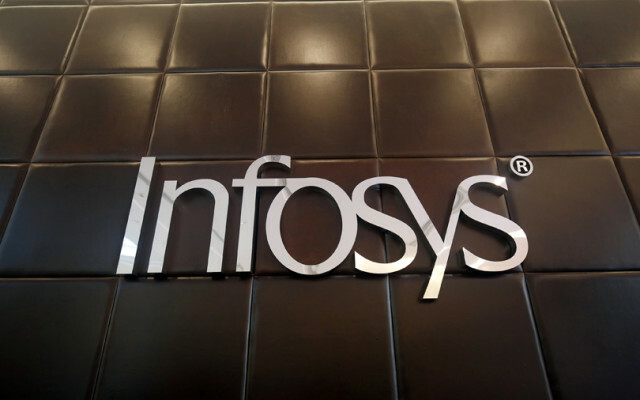 India's Infosys Ltd has formed a blockchain-based trade finance network with seven private-sector banks, to increase security and efficiency in the banking sector while also broadening its product offering. India's second-biggest software services exporter, whose Finacle software powers the core functions of the majority of Indian lenders, is in talks to sign up more domestic and foreign banks to the network, senior company executives told Reuters on Wednesday. Just days earlier, HSBC Holdings PLC said it had performed the world's first trade finance transaction using a shared blockchain platform, in a push to boost efficiency in the multi-trillion-dollar trade finance segment. Infosys is setting up its trade finance network in a banking sector rattled by an over $2 billion fraud at India's second-biggest state-run lender, Punjab National Bank (PNB) , allegedly by two jeweller groups with help from rogue bank staff. The jewellers have been accused of raising credit from Indian banks' overseas branches using fake trade finance guarantees provided by PNB staff in Mumbai who did not enter those guarantees in the bank's computer system. Infosys' network will make transactions transparent for "the buyers, the sellers, the buyer's bank, the seller's bank and any regulator who is on this network," Rajashekara Maiya, Finacle global head of product strategy, said in a telephone interview. "With that kind of a capability, the technology can avoid all the fraud that could have taken place in a situation like Punjab National Bank," he said. In March, India's central bank barred all lenders from issuing letters of undertaking – a form of credit guarantee at the heart of the PNB fraud. Sanat Rao, chief business officer at Finacle, said lenders currently testing its trade finance network are ICICI Bank Ltd , Axis Bank Ltd, Kotak Mahindra Bank Ltd , Yes Bank Ltd, IndusInd Bank Ltd, RBL Bank Ltd and South Indian Bank Ltd.
"We're in very advanced discussions in Australia with a consortium of banks and I think you'll see more announcements," he said.